Kids go wild over this wiggling shark! 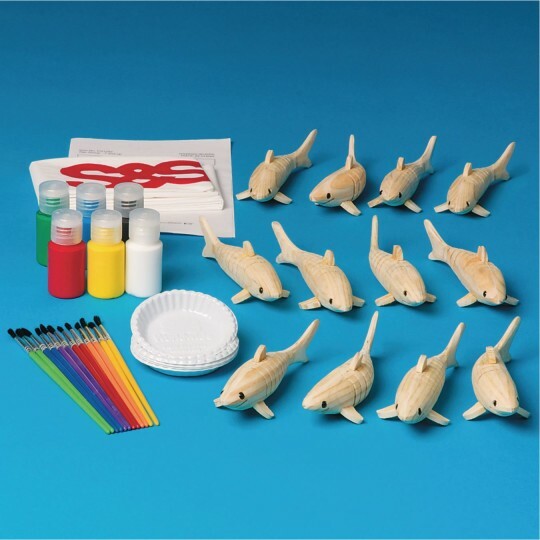 Finish project measures 4-1/2" x 1-1/4"
Kids are wild about sharks, and this one even wiggles! 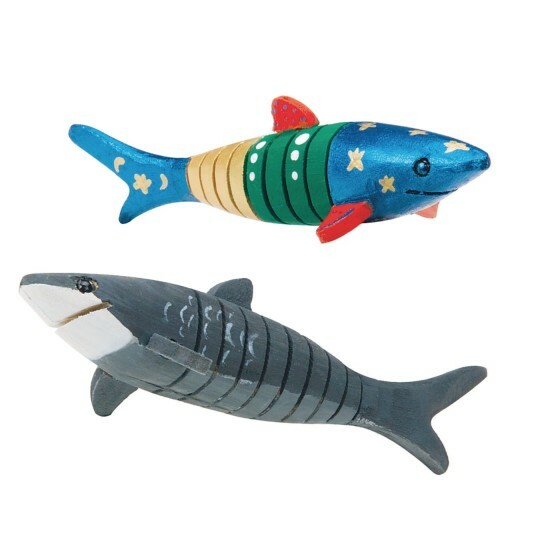 The notched wood creates a realistic swimming motion. 4-1/2" x 1-1/4". Paint and brushes included. We didn't have enough to last the whole day. Big hit with the kids.